It feels like every watch enthusiast out there has a soft spot for Tudor. If not a soft spot, there seems to be an unspoken mutual respect for Tudor. We all seem to be able to respectably identify what they create and their approach to every product that leaves those Geneva-based factory doors. For the past 80 years, they have always had a somewhat underdog tone to them which is pretty hard to hate. Even if you're unsure about Tudor watches, I feel it would be extremely hard to outright hate them, simply have a look at their website and the range they offer, then naturally (being the sister brand of Rolex) compare the price of the equivalent timepiece to Rolex and you'll start to see where I'm coming from. In the watch world, I always get a feeling when handling a Tudor watch that its really been made with the way the consumer uses the watch at the top of their list. 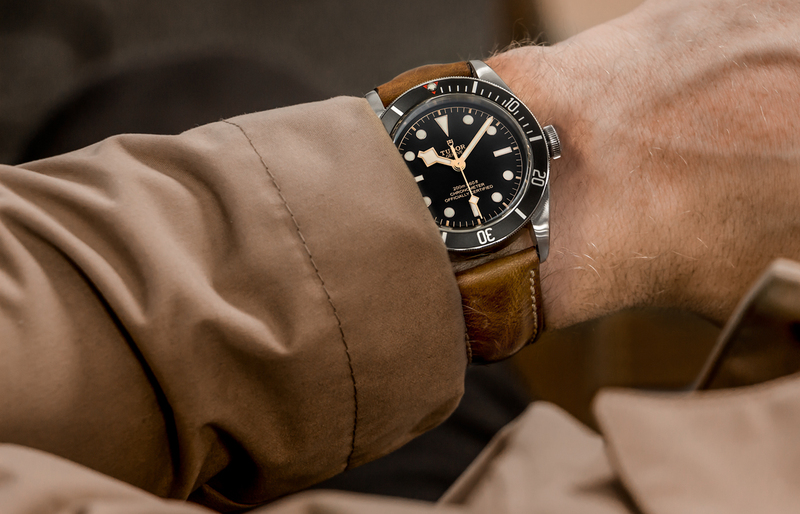 The term 'bang for buck' comes to mind with Tudor, and there are not many other watches outright that better represent this than the Black Bay. Admittedly, Tudor not only have a historical advantage on many other companies out there but also a big brother sibling advantage as well. Being the sister brand of Rolex, in 2012 Tudor heads of department had a plethora of historically important and extremely well-made pieces to draw inspiration from. Cleverly, the Black Bay isn't directly inspired by just one model from their archives, but more of an amalgamation of every diver to feature the Tudor logo (Rose or Shield). It is almost impossible to talk about Tudor without having to talk a little bit about Rolex. As I've mentioned in a previous article, if Rolex was Hans Wilsdorf's well established first love, pride and joy, Tudor was his response to the demand. A way for Mr Wilsdorf to offer a collection of watches, with everything people already knew and loved about Rolex but at a more obtainable price for the masses. An extremely smart move for everyone involved at the time, a formula that we see repeated in almost every industry out there today. After only a few weeks with the Black Bay, it's fair to say, quite simply, I understand all the hype. The Black Bay I've been spending a lot of time with recently is actually the newer, 2016 updated BB which now comes with three main differences from the original 2012 release (nicknamed the Black Bay Rose). Firstly, a new bracelet is available which is still the timeless oyster style bracelet but now comes with another nod to its predecessors in the form of old-school styled rivets periodically down each side. Next, in true Tudor style, we get a logo change this time and it is now a more modern shield over the older rose logo many collectors have come to love. We also see the curved text on the dial make way for the proudly accomplished chronometer official certified text in a straight, more familiar format. Finally and probably the most impressive upgrade is the new, fully in-house movement, the Tudor MT5602 calibre. Beating at 28,800 bph, the MT5602 comes with an incredible 70 hours power reserve (not quite Captain Cook level, but not bad) and is buttery smooth when screwing and unscrewing the crown. This COSC certified movement has been an absolute pleasure to spend some time with, I loved that I could leave the watch at work over the weekend and come back Monday morning to the Black Bay still bang on time, with not a beat missed. This feature (among the many others) truly makes the Black Bay a fantastic watch to be included in a watch collectors regular rotation. The MT5602 calibre is cased in a 41mm wide, 14.8mm thick case with a lug to lug of 50mm. 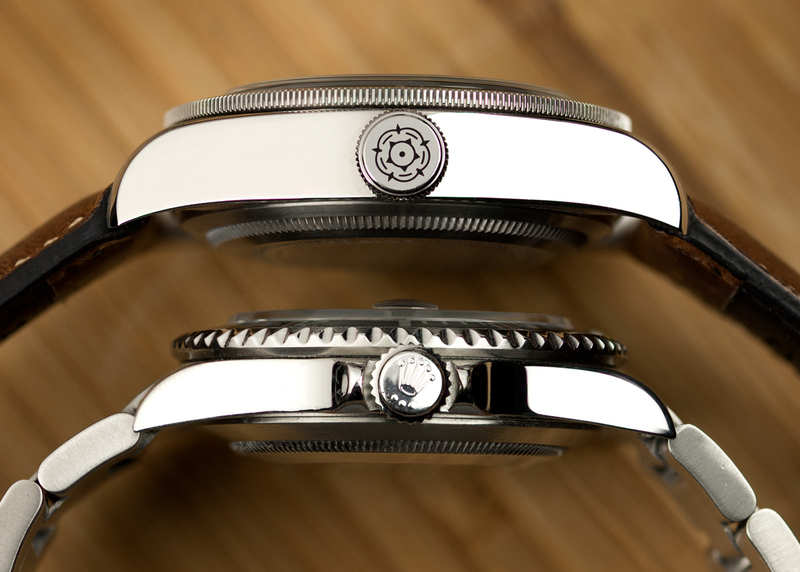 The lug width also comes in at 22mm, a size which is not my personal preference but it does suit the watch. This is where I am unfortunately going to have to add my one main negative comment of the Black Bay (I know, let's get it out of the way quickly). Unfortunately, the Black Bay does drop some points when it comes to the thickness. Nearly 15mm does feel a little too thick for the Black Bay, if you were looking for a modern diver you could wear every day, I would probably take the time to check out the thickness for yourself in person as it does need to be seen and experienced yourself to determine if it's also an issue for you as well. However, on my 7 1/4 inch wrist, the 41mm case size actually feels very natural. In fact, my time with the Black Bay happily reminded me that I can still pull off a larger case size, a welcomed reminder. Apart from the thickness of the Black Bay, everything else about the watch is pretty much all positive. The first thing you notice about the Black bezeled Black Bay is the overall nostalgic feeling you get when wearing this watch. 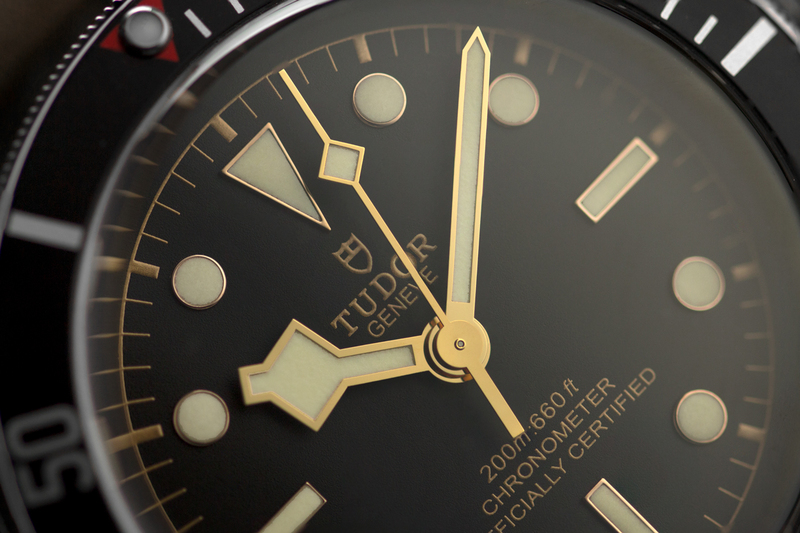 Tudor has nailed the balance between paying it's respect to the past but without doing a copy paste job. An outstanding feature of the BB is that gilt coloured detail on its dial. The seconds track, font, dial and edge of both hands and indices all feature this gilt coloured detail bringing the overall warmth of the Black Bay up. 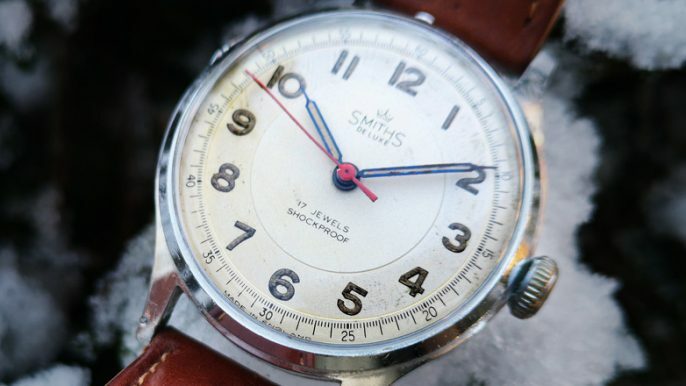 It gives this piece an almost familiar feel to it, combine this with that red tip on the bezel and its a winning, straight out of the park combination. Combine that with those rivets on the new metal strap and you have a complete piece that has an almost in-explainable charm. 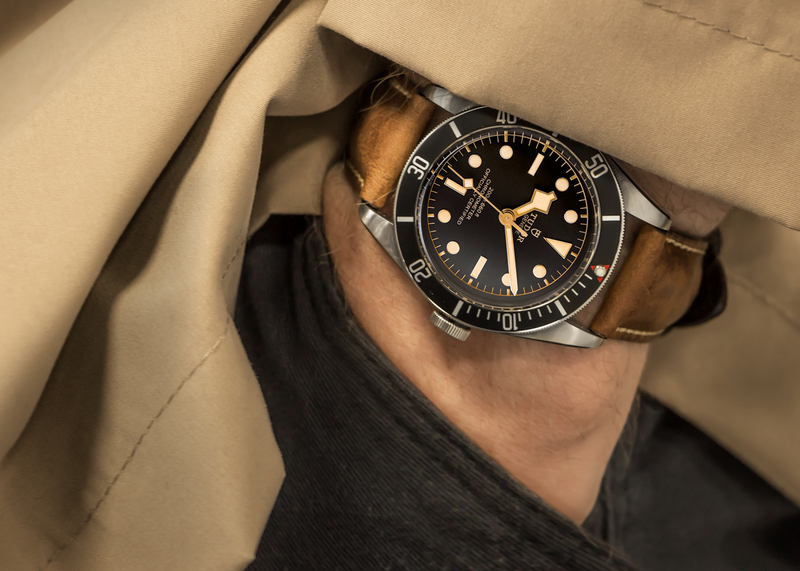 What the Black Bay does so well is it doesn't get carried away with this old school styling. The odd gilt detail here, a splash of red on bezel there, these act as just merely flashes of its past. You're quickly reminded of Tudor's awareness of the modern wrist in the shape of the anodised aluminium bezel with steel coloured markers, the reassuringly well-made crown and robust case design all play a part in bringing the piece right up to the 21st century. Not only that but even something as simple as the size. At 41mm its bang on trend with what people are wearing nowadays, and for us, vintage / smaller wrist watch enthusiasts out there, our prayers have been answered in the shape of the new Black Bay 58 (more on that in a moment). Going back to the anodised aluminium bezel, I don't feel like I'm over exaggerating when I say it's one of the best in the biz. Much like the Pelagos, the Black Bay's aluminium bezel feels as solid and well constructed as the overall case. The best part about this bezel is its soft, subtle matt aesthetic; I see this as another nod to Tudor's understated, under the radar approach to watchmaking. If the sound and feel of a good diving bezel is your thing, you won't be disappointed with the Black Bay. Re-assuring clicks are aplenty with the BB, and a slightly more slid confirmation click can be heard and felt once the bezel is reset back to its 12 o'clock position. After wearing the Black Bay, the overriding feeling I got was how impressed I was with the watches incredible build quality. I would have no concerns with the Black Bay being able to handle anything you throw at it. Plus, 200m water resistance is a perfectly re-assuring amount for the majority of wrists. If you can get over the thickness of the piece and the lack of date (this is the first watch that I didn't even notice it was dateless), then I'd say this is almost a must-have for any collector's collection. For me, this watch is almost a perfect lifelong beater watch. 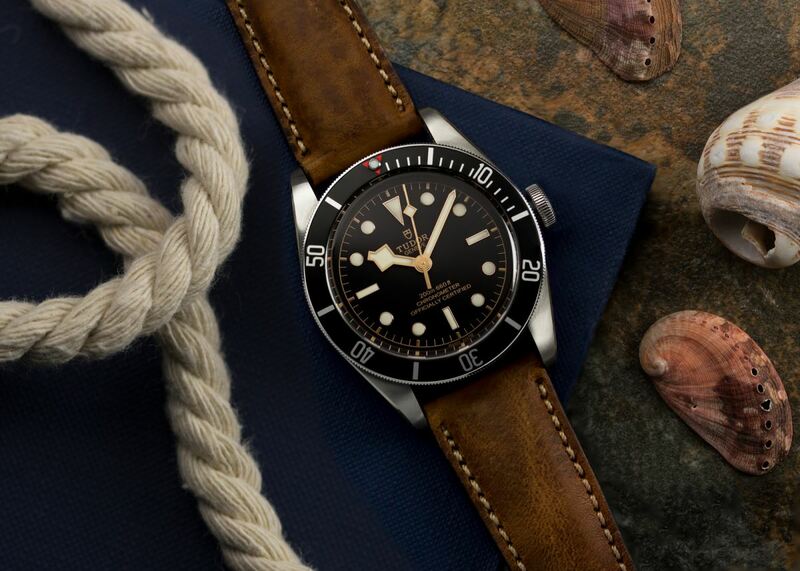 If you're in the market for a watch that you can spend a little money on, will last a lifetime and will always look fashionable, look no further than the Tudor Black Bay. If you're someone who doesn't look to have 10+ watches in the collection and you only go for carefully considered, versatile pieces again, the Black Bay is the watch for you. 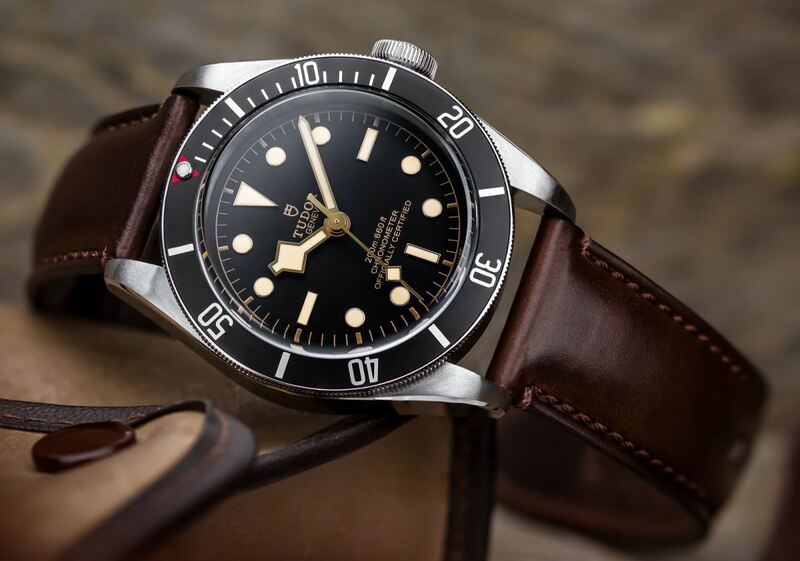 Additionally, the price that Tudor offer the Black Bay at is a huge positive in itself. The competition around the 1-3k for a new luxury diving watch is pretty hot at the moment with Tudor coming up against strong releases from the likes of Longines, Oris and Tag Heuer. 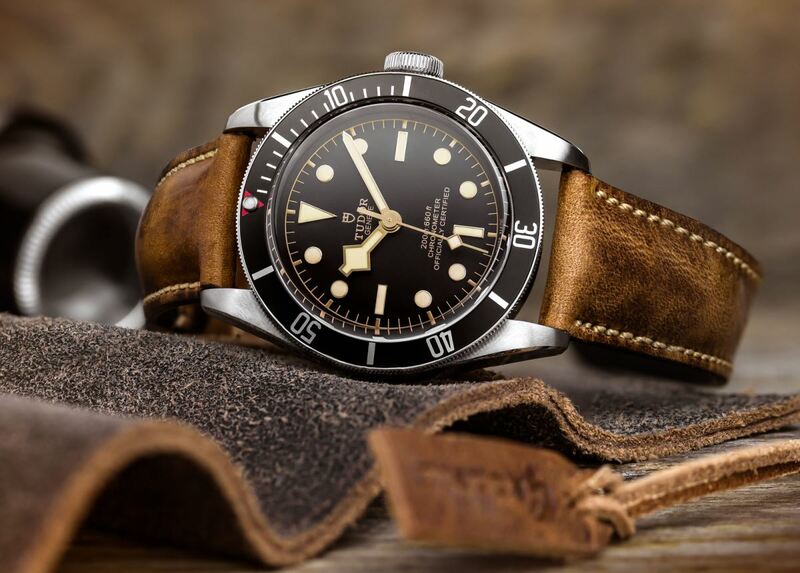 However, At £,2500 the Tudor Black Bay does seem like such an incredible offer when you consider its reputation, brand value and all the features it has I've mentioned here. You only need to have a quick search at second-hand prices of the Black Bay to realise how well the piece is appreciating in value as well, a strong reminder that its worth the extra cash. Fortunately, I'm surrounded by quality straps everyday meaning it was only a matter of time until I started thinking about which straps from our range I can fit on the Black Bay. 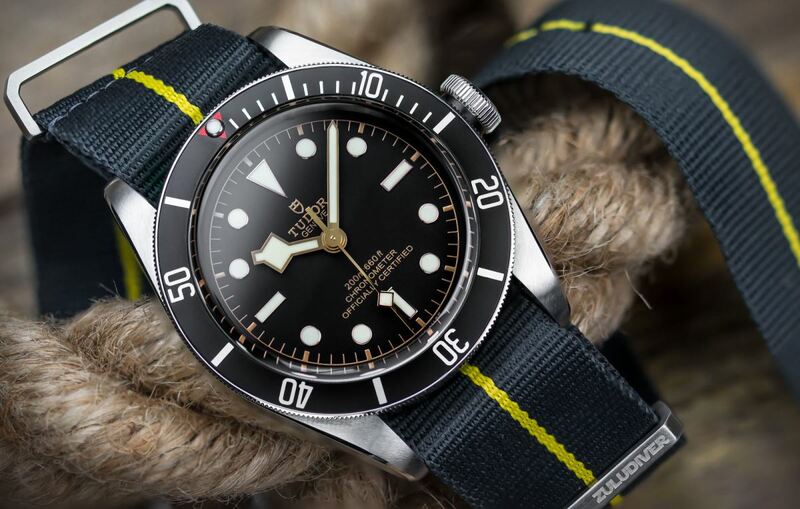 Now, bear with me on this section of the review as I'm fully aware this just sounds like a huge sales pitch but I assure you my comments still stand the fact is its just true, I've been enjoying the Tudor Black Bay on the Highley strap and can honestly say it's a huge contributing factor to why this review is so positive. The strap is 6.5mm thick around the lugs and in the Light Brown variation, it compliments the gilt coloured details on the dial perfectly. That thickness matches the Black Bay's thickness perfectly, it almost feels like the Black Bay should have been sold on the Highley. This strap genuinely made wearing the Black Bay every day a pleasure. 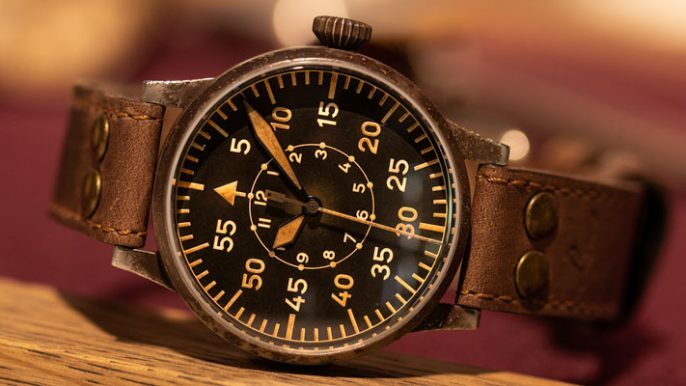 Over my time with this watch, the strap was already getting softer to touch and incredibly, for a watch of 15mm thick, many times I even forgot I was wearing a watch. If you're after a new robust diver which visually values it's heritage without being a re-issues, without being plastered in faux patina and without recycling an original name it's hard to look any further than the Black Bay. The modern proportioned, well built, subtle homage, underdog king. 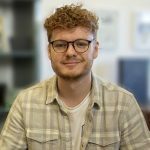 After spending a few weeks with the Black Bay and creating this review, I made the most out of my experience with the Black Bay to answer any of Ben's un-answered questions he has after first impressions! Paid by Tudor? No offence, but 15mm thick, on your wrist? Way to big sir. No, this review was all my genuine thoughts with no involvement from Tudor. I do agree that I find 15mm too thick. My wrist is around 7 1/4 inches so I can comfortably wear bigger watches, but the thickness is hard to get past. I suppose that's where the BB58 comes into play! Very balanced review, and exceptional photographs. 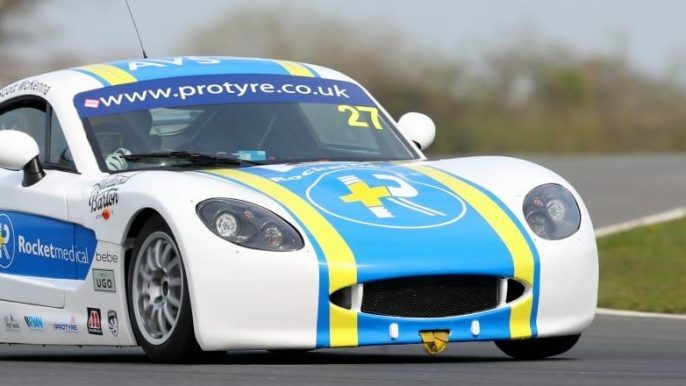 I am so close to finally buying one of these, which has long been on my wish list. The in-house movement and current design is what has cemented the decision for me. I have to say, prior to reading this review, I was completely smitten with the burgundy bezelled BB. Seeing the photographs on that Highley strap has completely thrown me. Both are stunning options, but think the black may be my forever option. Thanks for the review, and making decisions that much harder! All the best. You really cannot go wrong with the versatility of the Black option. I would advise going to your local AD and trying on the watch in person. You really can't beat good hands-on time with a watch. Send us an image on Instagram using #watchgecko to let us know your final decision! Purchased a a black bay/ black from watches of Switzerland in Birmingham UK yesterday (28/12/18) ....superb watch, dont worry about the thickness, its all part of package and the retro look, definitely a Rolex sub beater....great review by the way, thank you! Congratulations on your new watch purchase! 39mm for a dive watch just seems, I don't know, a bit small. But that's Rolex for you. They seem to be made for Hobbits. I just bought a 2019 Rolex DateJust with a jubilee bracelet and if it weren't as gorgeous as it is, I'd say it's a bit small. A dive watch should be a dive watch - bigger, beefier, utilitarian. It's not supposed to be an Oyster Perpetual. I just ordered the Tudor Black Bay Heritage 41mm and we shall see when it comes tomorrow morning. I have a Tissot Seastar Powermatic 80 (absolutely awesome by the way) and it is 43mm and I don't think it's too big at all. It's not a woman's watch - it's a diver. 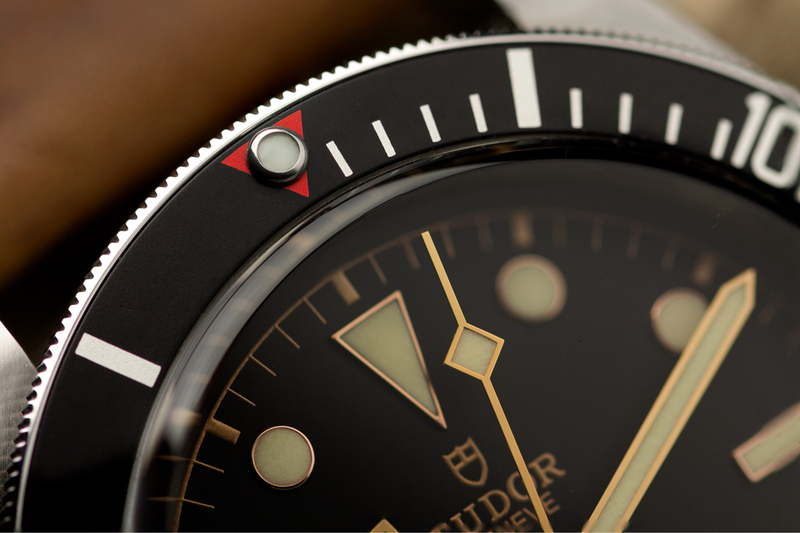 Also, the Tudor does NOT have a ceramic bezel - you may want to change that. It is aluminum. Cheers! Tudor doesn't speak to me as a brand. They are just meh. They don't look very good. Many homage watches look better than Tudors. I don't really get the appeal at all. There's no way I would buy a Tudor over Omega.